An Amazon Fire TV Stick is what we will be installing Kodi onto to get all of our free channels, movies and sports etc. It is available from Amazon as well as many other online and local stores. 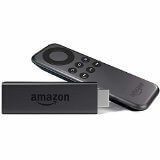 To purchase an Amazon Fire TV Stick from Amazon, please Click Here. Getting Kodi installed onto your Amazon Fire TV Stick may seem daunting at first, but you will most likely only need to do this once and you will then be setup with FREE, unlimited access to all premium channels. Download the latest Kodi APK file for your Amazon Fire Tv Stick by clicking here – Save this file onto your computers desktop so that it can be easily found later on. Simply click OK as this is needed to install Kodi onto your Amazon Fire TV Stick. Now we need to find the IP Address of your Fire Stick so that we can install the Kodi Application. Select Network and make a note of the IP Address, this is the IP Address of your Amazon Fire TV Stick. Navigate to the desktop of your computer to find the Kodi APK we downloaded earlier. When prompted if you would like to install the APK. Select Yes. A little notification in the bottom right of the window will indicate the progress of the Kodi installation on your Amazon Fire TV Stick. You will get an Installed notification when complete – Congratulations! You have now done the hardest part. Once you have opened Kodi for the first time on your Amazon Fire TV Stick give it a minute or so to finish its initial loading, once that is done we are ready to move onto the final step, getting our FREE content! This addon will give us access to all of the premium content completely FREE and unlimited. Now click OK and press back on your Amazon Fire TV Stick remote until you are back at the main Kodi screen again. Scroll down to where it says Add-ons and select it. Now scroll down to Install from zip file and select it, you will now see a list of locations, find the source name we just added and select it. You will see a zip file with the name starting as repository.echo, simply click on this. You will get a notification on the bottom left saying that the ECHO repository has been installed. Now press Install from repository, find the ECHO repository and then press it. Now scroll down to ECHO Wizard and select it and press Install. You will then get a notification saying the ECHO Wizard has been installed. Select the ECHO Wizard again and this time click Open. Inside the ECHO Wizard you have just opened, scroll down to Community Builds and select it. Look for the Top Tutorials option in this list and select it. You will see a notice about using community builds, simple press back on your Amazon Fire TV Stick remote to get rid of this message. Now simply go down the list and select “Ultra TT”, and then select Download This Build Now and follow the steps shown on screen. Your Ultra TT build will now automatically download and install, once it has finished installing give it a minute for all of the add-ons to finish updating and then you are done! The rest is quite self explanatory, simply use your Amazon Fire TV Stick to select what you require e.g. 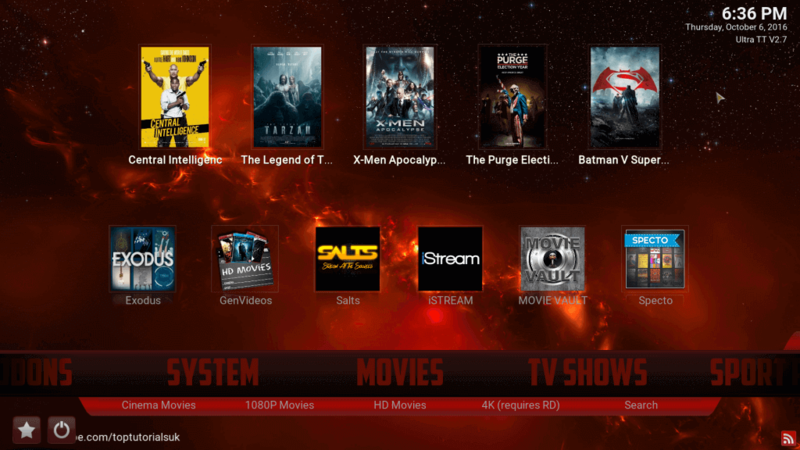 MOVIES, TV SHOWS, SPORTS and then have a look through the different addons available to find what you need.